Elizabeth Watson is a certified rehabilitation counselor, certified case manager, licensed clinical professional counselor (Illinois), and certified brain injury specialist. She earned a MS degree in Rehabilitation Counseling and has worked in the rehabilitation field since 1985. In addition to providing vocational rehabilitation services to adults, her current practice includes transition assessments of special education students as well as transition advocacy and consulting services. 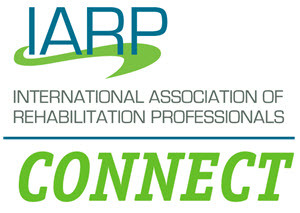 In 2015 she was named Chair of the International Association of Rehabilitation Professionals newly formed section, Vocation Rehabilitation Transition Services, and Section Representative to the IARP Board. Elizabeth is active in promoting vocational rehabilitation counseling services for special education students as well as educating and training fellow rehabilitation professionals on vocational rehabilitation transition services. She served on the CRCC Code Revision Taskforce, for the 2017 Code of Ethics, from 2015 to 2016. Elizabeth is employed by Watson VR Resources, Inc, Arlington Heights, IL.